A former donkey cart shed which is just 6ft wide is believed to be one of the narrowest homes in Britain. Owners Iain and Rachel Boyle bought the property for just £8,000, 12 years ago, after driving past it every day and wondering what it was like inside. They spent another £15,000 turning it into a stylish pied-a-terre over three floors – including a mezzanine bedroom – and now rent it out. 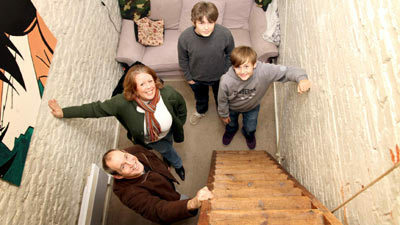 via Ananova – Is this Britain’s narrowest house? The owner says it’s “compact”.